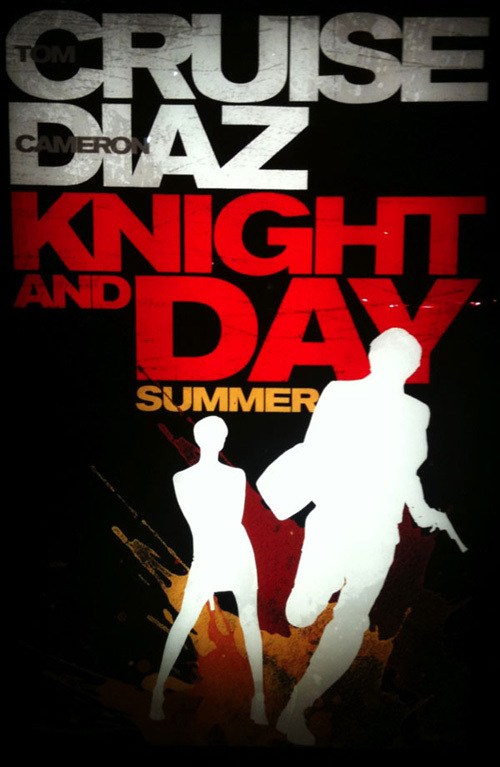 Knight and Day centers on a lonely woman (Diaz) whose seemingly harmless blind date suddenly turns her life upside-down when a super spy (Cruise) takes her on a violent worldwide journey to protect a powerful battery that holds the key to an infinite power source. Grace is playing Diaz’s sister, who is getting married, excited that Diaz will take the place of their late father and walk her down the aisle. .
Running Time:	1 hr. 50 min. MPAA Rating:	PG-13 for sequences of action violence throughout, and brief strong language.